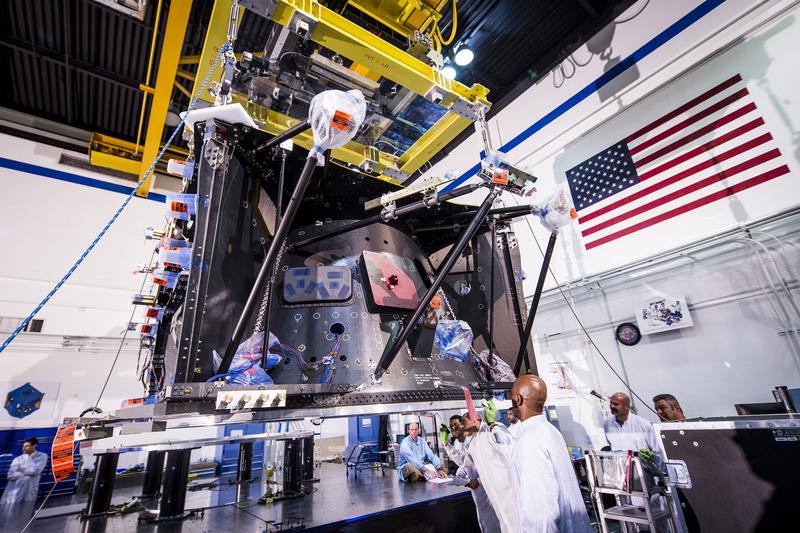 REDONDO BEACH, Calif., Oct. 8, 2015 -- Manufacturing and assembly of the spacecraft structure that will take NASA's James Webb Space Telescope to its ultimate destination 1 million miles from Earth was successfully completed July 1 at Northrop Grumman Corporation's (NYSE:NOC) Redondo Beach facility. 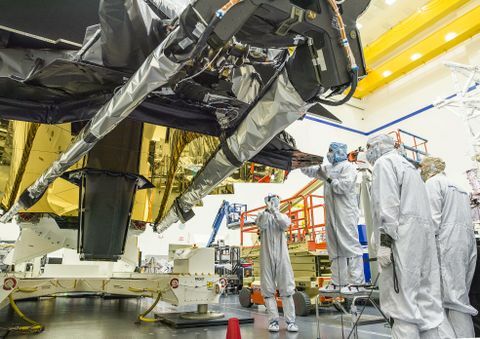 Northrop Grumman is working with NASA's Goddard Space Flight Center in Greenbelt, Maryland, and leads the industry team that designs and develops the Webb Telescope's optics, sunshield and spacecraft. The spacecraft structure, or bus, is made of carbon fiber composites and houses the spacecraft's propulsion, electrical power and communications. The bus must withstand a force equivalent to 45 tons while supporting the observatory during launch. The spacecraft structure integrates the system's optical telescope, sunshield, and instrument electronics and mounts the whole observatory to the Ariane 5 rocket — tasked with launching the Webb Telescope to its destination in space. To launch such a large observatory out to the L2 orbit 1 million miles away, the structure must also be very light-weight so its mass efficiency allows it to carry 64 times its own weight. 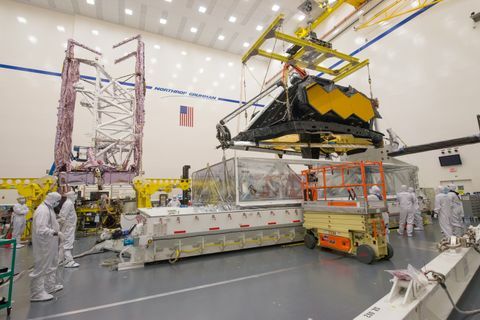 "The spacecraft structure provides state of the art capabilities to support the James Webb Space Telescope's first light mission," said Andy Cohen, manager, Webb Telescope spacecraft, Northrop Grumman Aerospace Systems. "Completing the manufacturing and assembly of the spacecraft structure was a significant achievement by many dedicated and diligent people. This milestone represents the committed collaboration between the spacecraft structure's manufacturing, engineering, integration and test teams. 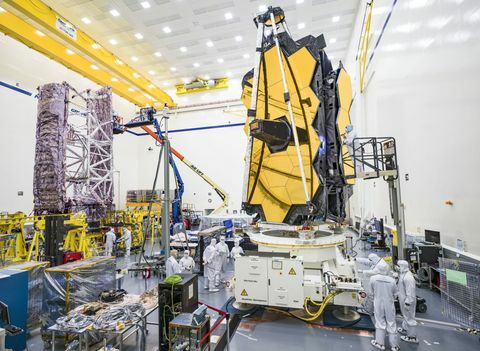 It also signifies the continuing progress on the Webb Telescope, and will culminate with the structure test, propulsion integration completion and delivery to spacecraft Integration and Test by July 2016."